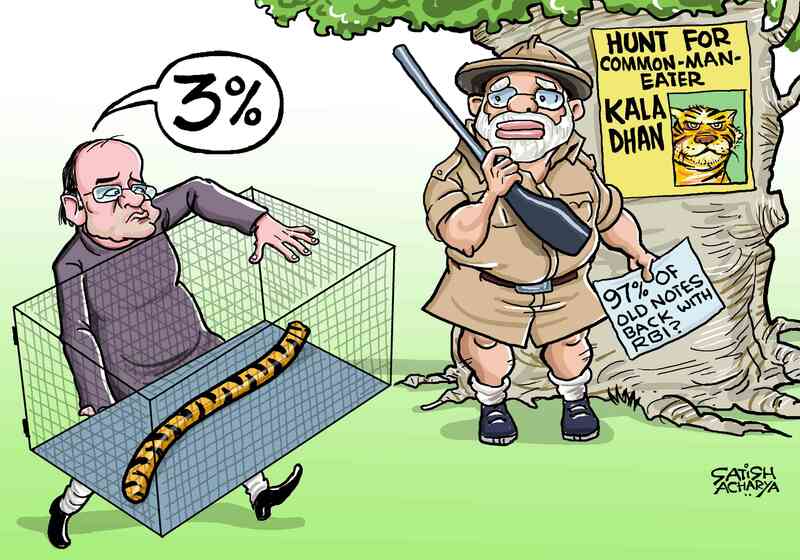 It’s a good time to look back at cartoonist Satish Acharya’s 2017 book ‘Rupee Or Not Rupee’. Not for the first time, the government’s elusive claims about the efficacy of demonetisation have been met with tangible data suggesting that the exercise failed to achieve its various goals. 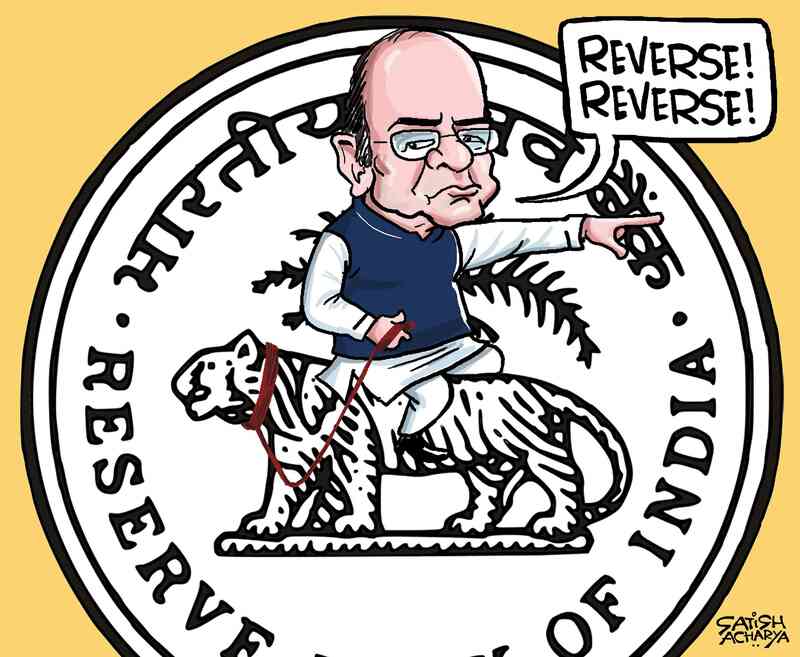 On August 29, the Reserve Bank of India released its annual report which stated that 99.3% of the notes that had been scrapped by the government in November 2016 were back in the system. The data flies in the face of what the Centre had claimed when its announced its decision to ban Rs 500 and Rs 1,000 currency notes overnight on November 8, 2016. The move was posited as a miracle cure for several ills plaguing India’s economy, including black money and counterfeit currency. With time, other benefits were also added to the mix, including that demonetisation would push India towards a cashless economy, weaken terrorism and help ease the crisis in Kashmir. 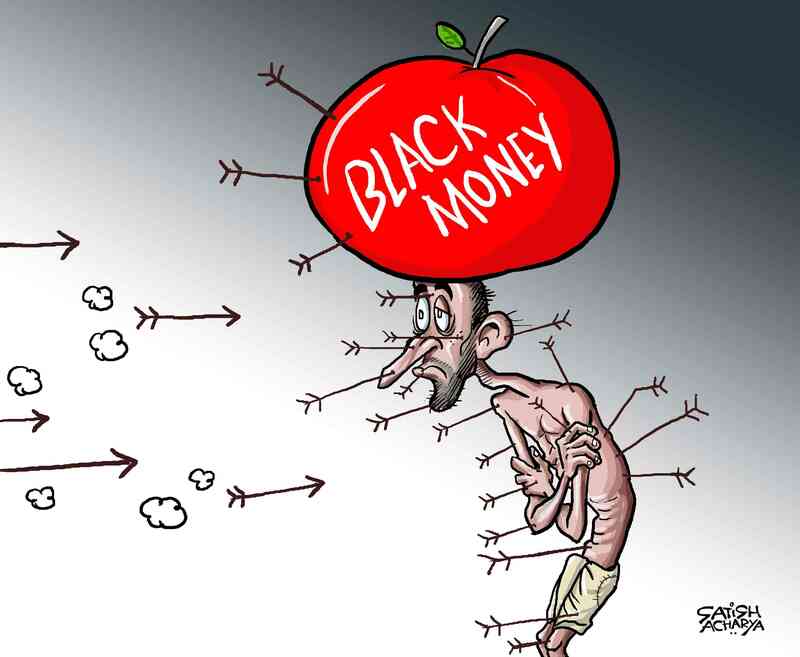 While the other stated goals have been repudiated over time, the RBI report strikes at the core of the exercise and validates what many economists, journalists and political commentators have been saying all along – that the idea that black money is stowed away in cash and will hence be wiped out by demonetisation is wrong. Above all, the RBI report also backs with numbers the anecdotal evidence of the hardships of common citizens that had been extensively documented by journalists across the country in the months after the note ban came into effect. With time and amid the heated blame game and political rhetoric, this human cost of demonetisation has gone out of focus, even as the economy continues to reel under its impact. 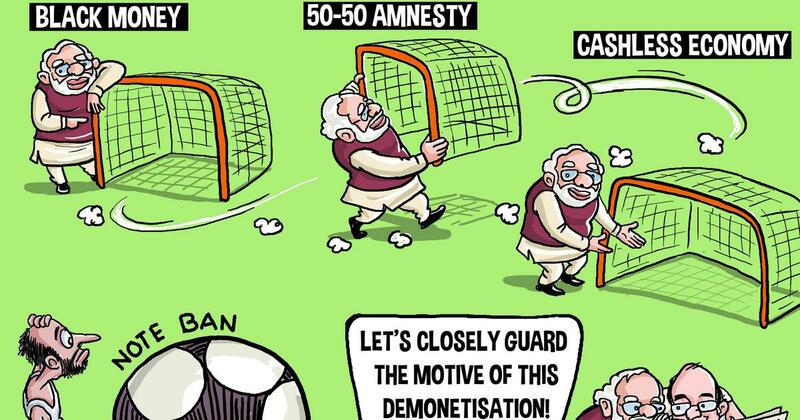 Satish Archarya, a political cartoonist, had extensively tracked and documented the many hits and misses of the demonetisation excercise as they occurred. 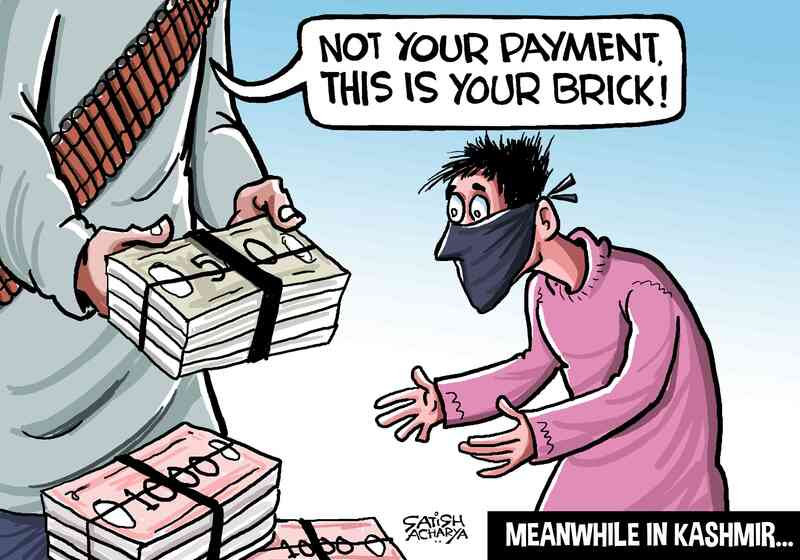 In 2017, his cartoons were compiled in a book called Rupee or Not Rupee. 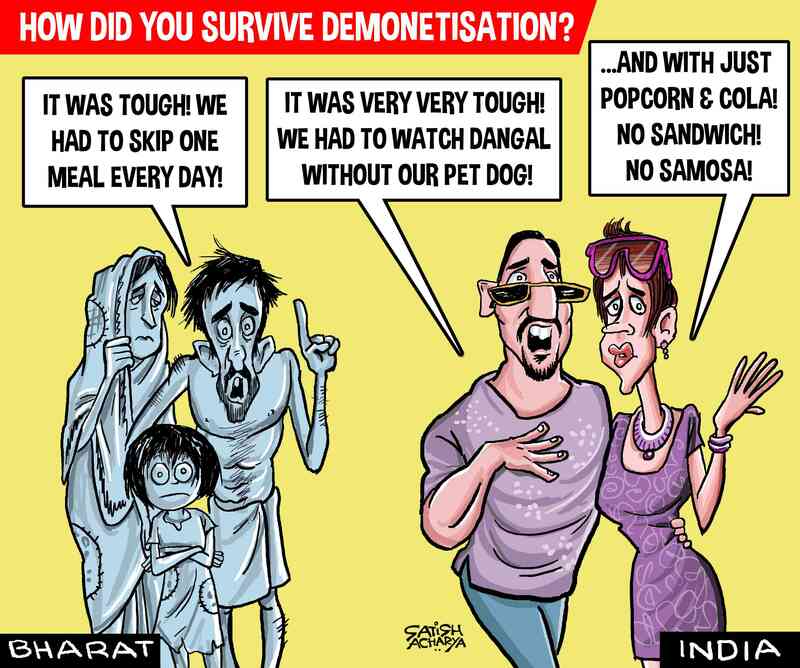 Put together, these provide a handy visual recap of the heydays of demonetisation, the ensuing chaos, the rapid policy changes and most importantly, the impact of the move on common Indians. The book includes Acharya’s cartoons for Mail Today (with which he ended his association this August, after they dropped a cartoon of his about growing Chinese influence in regions surrounding India) as well as his syndicated work. 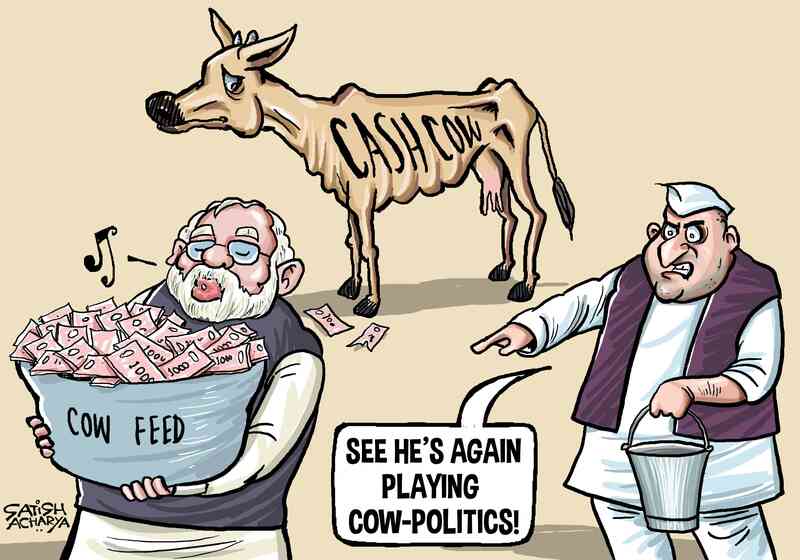 The cartoons were drawn over three months, Acharya said, the first one made within half an hour after Modi’s speech announcing demonetisation and the most recent of the collection, just hours before it went to press. 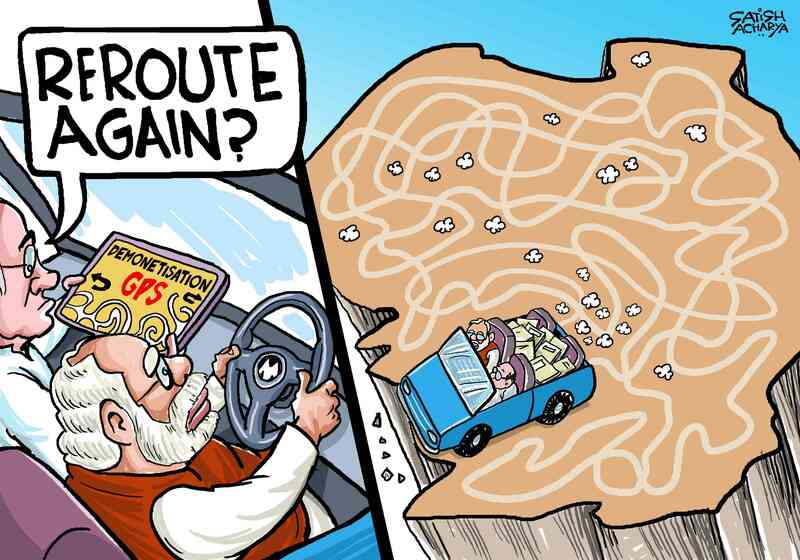 The cartoons also give visual representation to what critics had been observing, about the government’s shifting goalposts on the purpose of the exercise, or the pitfalls of trying to force a cash-less economy on a country with uneven internet connectivity and large levels of illiteracy. Another focus area was the hardship caused by the exercise to common citizens and the underprivileged. 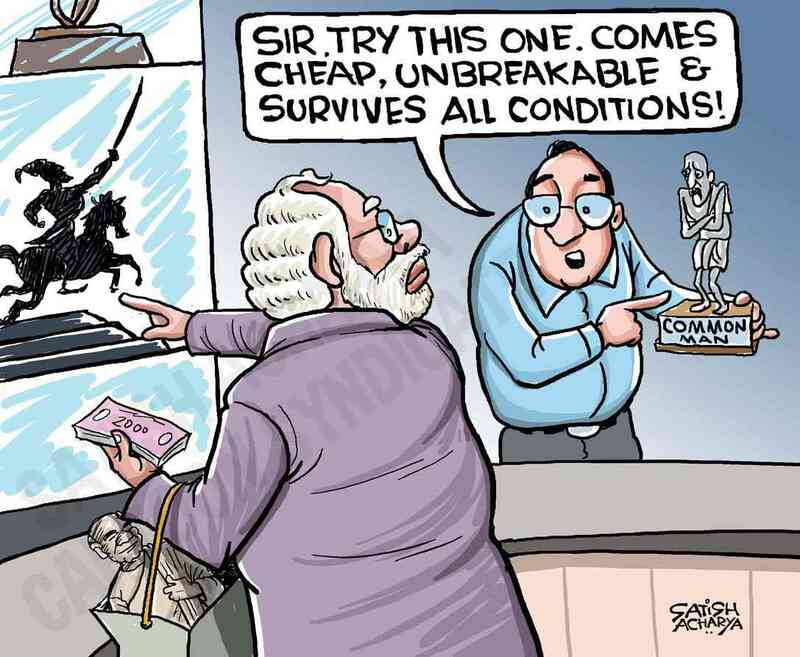 As 86% of the currency in circulation was invalidated in one fell swoop, a severe cash crunch put a cash-dependent economy in crisis. The informal sector, which forms a large portion of India’s workforce, was hit the hardest. Reports of deaths, difficulties, job losses poured in from across the country. 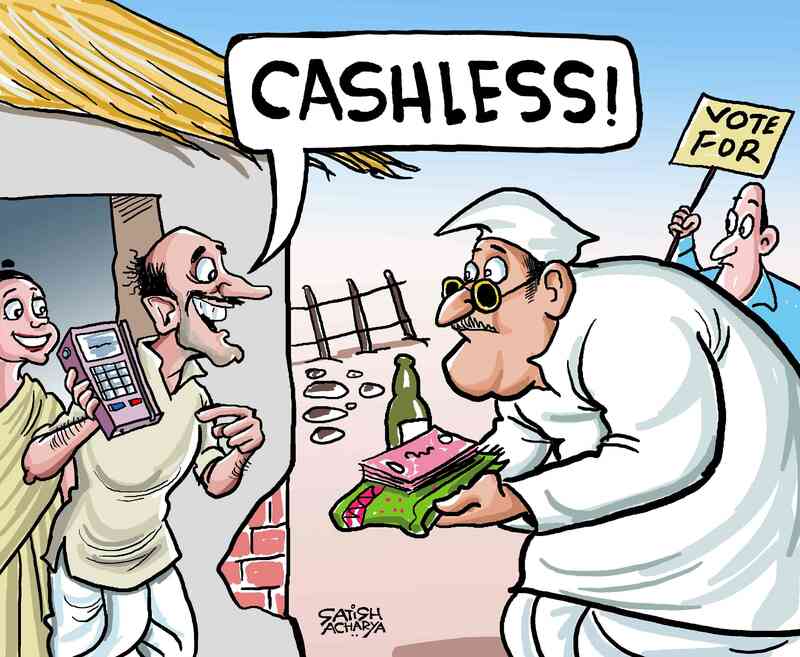 Meanwhile, frequent policy changes by the government added to the chaos, as citizens grappled with adhoc rules and rapidly changing limits on how much cash they could deposit or withdraw. Even the Opposition is not spared. 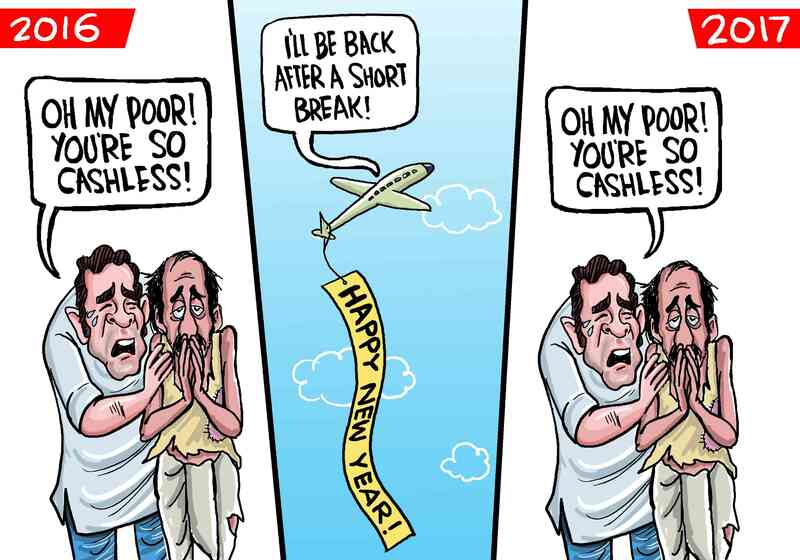 One of the cartoons, for instance, took on Congress President Rahul Gandhi’s widely criticised year-end vacation that year, in the midst of his party’s heated campaign against the BJP on demonetisation. 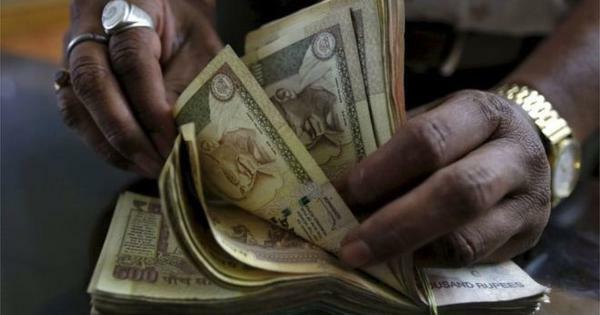 One of the first concrete signs that demonetisation had not had its intended effect emerged in January 2017, when reports said that 97% of the scrapped notes were already back with the RBI.